Congratulations! Your Job Crusher Membership Has Been Created! Guarded “Exclusive” Program Most People Will NEVER Know About! “Cut And Paste” For Your OWN Business! Bill here. I would like to thank you for taking action and joining Job Crusher. You now have access to the ultimate Internet marketing program many of today’s internet marketing “gurus” give credit to getting their start. You also get access to our high-level group coaching program others have paid $1500 for. But for some of you, that may not be enough. You’re probably looking for a little more 1-on-1 personal attention from us to make sure you’ve got it “right”. Now if you were to call us up and ask us to coach you 1-on-1, you would have to fork over at least $10,000….depending on the program. And if you wanted to pick our brains for an hour, expect to pay at least $800/hour. Guess what? Not today! Because we’re giving you a one-time chance to join our most exclusive club of “action-takers” who prefer to have us personally guide them throughout their wealth-building journey. Now I want to be clear. This is a TRUE one-time offer. You will only see this page once…so make sure you read every single word of this message. Now you might have heard about this more personal level of Job Crusher. And maybe you haven’t. Or perhaps you’ve even tried to join yourself, but got turned away. More on that in a second. But I WILL tell you this is perfect for you if you’re the type of person who prefers to have us literally “hold you by the hand” and work with you on a closer level. Increased focus and a vision for finally quitting their jobs! Faster results…and more money siphoning in this bank account! 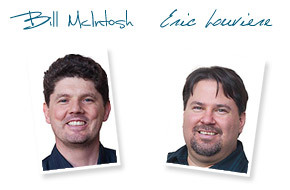 You see, it’s very rare to get personal 1-on-1 attention in an Internet marketing program. Most of the other “gurus” out there would rather sell you their $17 ebook or $47 course and call it a day. And now, as part of this limited time offer, we’re opening our Platinum membership for the price of an extra-value meal at McDonalds! To Put It Together Themselves! 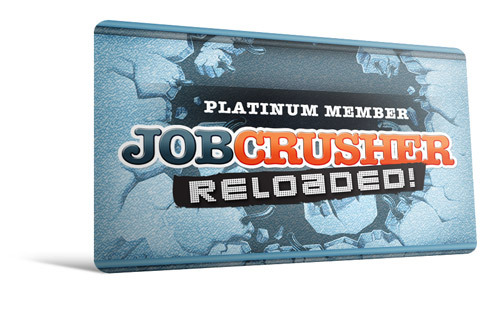 We created this special Platinum level because, to many people, joining Job Crusher is like building a car. They’ve got many pieces that, when put together, will create a fine-tuned machine. But they know it could take them awhile to get things going. 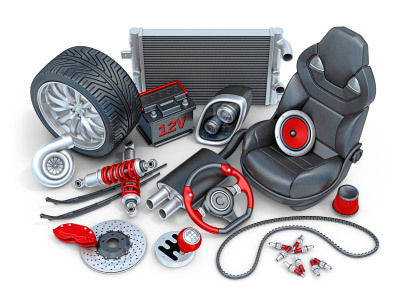 In fact, this was the case in the early 1900’s when customers bought a Model T. They had to put it together themselves―as all the car parts were shipped to them! You see, joining the Platinum level of Job Crusher is like having Henry Ford coming straight to your home in the early 1900’s and helping you put together your Model T! Think about it: having the marketers who CREATED these moneymaking systems to personally guide you, support you, and “hold you by the hand” throughout the process. Most people who want to get faster results will want to take part in this…so they can accelerate their chances of saying “Goodbye” to their day jobs! Does Your Homework So You Get An A! …And we would have done anything to have someone experienced to “look over our shoulder” when we needed help. Or…to have someone to just flat-out DO IT FOR US. You Can “Get It Right” The First Time! When you take advantage of the one-time offer we’ll put on LIVE training where we’ll actually critique your site. You’ll get to ask questions and ask for feedback when we review your site for you. We’ll even end up rewriting copy, “tweaking” your traffic and sales strategies, and refine your entire sales process LIVE. It’s like having a couple guys with 50-million dollars of collective online sales looking over your shoulder, giving you advice, and making sure you don’t make the typical “newbie” mistakes. …When an experienced, trained eye could have worked WONDERS for our progress! Best part: Eric will include weekly “over the shoulder” training where he’ll create a LIVE campaign and make it profitable week after week. You’ll get to follow along, get ideas for your OWN campaigns, and avoid many mistakes most beginner marketers make. Leapfrog YEARS Of Trial And Error? Job Crusher Formula Training (Worth $297) – our live once-per week training session JUST for Platinum members where we’ll school you, train you, ramp you up, and transform you into a moneymaking machine! Full Access to “The Repeat Profit System” (Worth $497) – This is a true “nuts-to-bolts” course on how to set up continuity programs, and how to boost your conversions into the stratosphere! Instant Renegade Guru” Program (Worth $147) – This will teach you how to command attention in ANY niche―even if you’re a “newbie” and nobody’s ever heard of you! “Contest Burner” Software (Worth $147) – Run your very own viral marketing contest with this amazing WordPress plugin. It’s “plug and play” easy and you’ll get it as part of your Platinum membership! Traffic Crusher 2.0 (Worth $997) – This is the mother of all traffic courses! 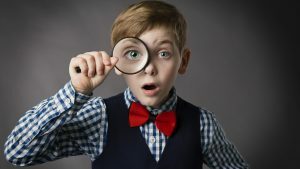 Here’s how you can siphon targeted traffic from PPC, CPV, Banners, Email Drops, Solo Ads, List Swaps…you name it! 5 Star Silver Club Content (Worth $397) – This is where Eric reveals how to start your own brokering business…even if you have NO contacts, NO list, and NO money! That said, with the personal attention we’re giving you, we’re going to have to limit the number of Platinum members. And that means this offer could be shut down at any moments notice. In fact, by the time you click on the “Add To Cart” button below, it could be too late! Yes! Are you crazy? Of course I want to get this awesome product. I understand that this is a subscription that renews automatically for 6 payments of $66 per month, and that I can cancel at any time. To Become A Platinum VIP Member! This is for those people who want to join an elite group of “action takers” who will get personal attention from me and Eric…for a FRACTION of what we usually charge private clients. You’ll get to interact with us one-on-one…and get us to help you accelerate your chances of quitting your job! 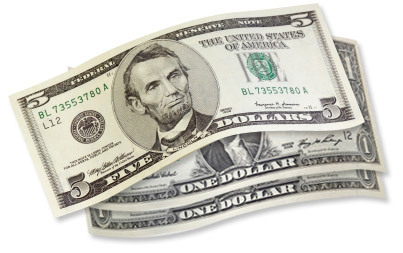 All You Need To Pay Is 6 Easy Payments Of $66! To Try Us Out!―Nothing More! This might sound a little crazy, but we’re going you’ll get to try out our Platinum membership for only 6 payments of $66 and then it’s yours for a full year! Check out the LIVE training we’re doing. Take a look at the additional resources we use to accelerate our incomes so we can live life rich, relaxed, and happy. I know you’re going to get a LOT out of your GOLD membership. But if you’re looking for a little “boost” that could accelerate your path to working from home without a boss, then we confidently feel the Job Crusher Platinum membership is just for you. This is truly where the Elite hang out. And you can try it risk free to see if it’s perfect for you. But it could warp-speed your progress to quitting your job in no time! Now keep in mind this is a TRUE one-time offer. The moment you leave this page, you’ll NEVER be able to try out our Platinum membership at this insane price ever again. And if we do, it’ll be full price up-front. No trial. That is, if we EVER decide to open it up again. We’re just doing this because we’re celebrating our 6th anniversary of Job Crusher—and you won’t be able to “get in” any other way. So here’s your chance to join an elite group of marketers…and have me and Eric personally guide you to making money online. Or risk getting shut out forever…no matter how much you beg us! Take action right now, and become a Job Crusher PLATINUM member. If you close this window and continue on this page…you’ll never see this page again! Thanks, and we look forward to critiquing your first site! © 2006-2012 JobCrusher is a registered trademark of Crusher Productions LLC. All other marks are the property of their respective owners. All rights reserved.